Hurricane Irma began to slowly move away from north-central Cuba on Saturday, after buffeting the island’s coast with category-five winds and rain. 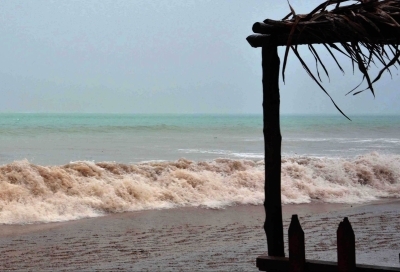 In the central province of Villa Clara, storm surge caused coastal waters to rise more than 500 meters inland, Xinhua news agency reported. Maximum sustained winds of 160 km per hour, and gusts of 213 km per hour, knocked down trees, lamp posts and even ripped some park benches from the ground. While it was too soon to assess the hurricane’s overall impact on coastal communities, authorities were aware of damage to some homes and electric lines, the radio station reported. “Eye of Irma beginning to move slowly away from the coast of Cuba while weather is deteriorating in south Florida,” where the hurricane is headed, the US National Hurricane Center reported. Irma has been downgraded to a Category 3 hurricane, with sustained winds of 125 mph, but it is expected to strengthen before reaching Florida, it added. According to CNN, the capital of Florida is a long way from Irma right now, but authorities are expecting a big impact. Power outages are predicted across the Panhandle area and the entire state, the National Weather Service station in Tallahassee tweeted. Storm force winds may be felt in Tallahassee for 18 hours, starting tomorrow, the weather service said. Florida State University has set up a shelter for students who don’t feel safe.